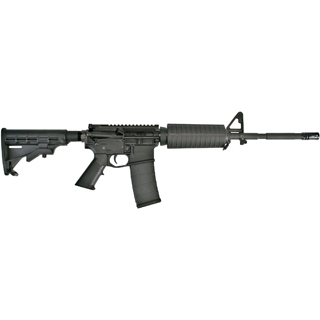 Core 15 Rifle Systems 100284 M4 AR-15 Base SA 223|5.56 16 30+1 6 Pos Stk Blk in. CORE15 MilSpec Forged 7075T6 M4 Upper and Lower Receiver Type III Class II Hardcoat anodized finish M4 feed ramps 1913 Picatinny rail flat top with dry lube internal finish and laser engraved Tmarkings. 16 4150 Chrome Moly M4 profile Chrome Lined Barrel 19 Twist Chambered in .2235.56 x 45 mm NATO Direct Gas Impingement Gas System."